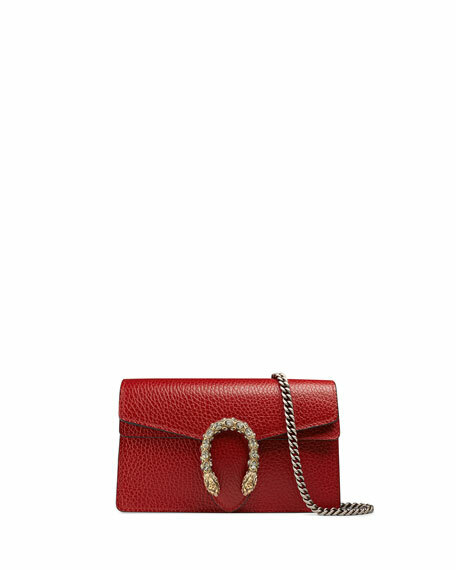 Gucci grained leather shoulder bag. Attached key ring that can attach to a separate bag. Flap top with crystal tiger head spur. 4"H x 6.5"W x 1.5"D.
"Dionysus" is made in Italy. For in-store inquiries, use sku #2193853. 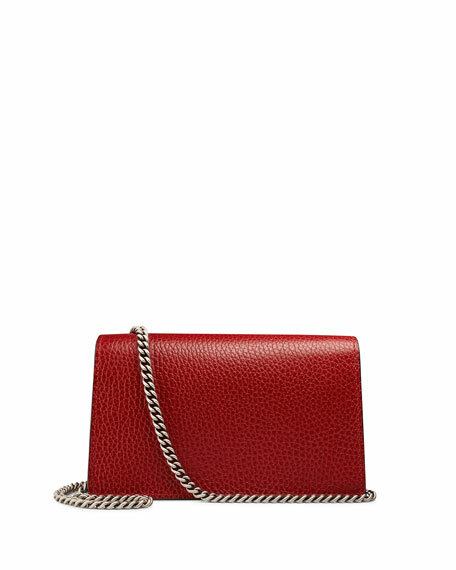 Paco Rabanne shoulder bag in calf leather with ring hardware. Silvertone chain shoulder strap. Flap top with flip-lock. 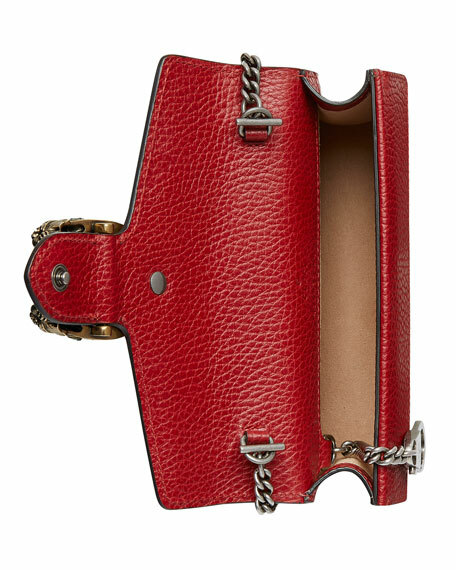 Inside, one zip pocket. Made in Italy.